As a Managing Director at The Bulfinch Group, John’s focus is on the coaching and development of successful Financial Representatives. Working with high-level career changers and experienced advisors, John helps them navigate through the firm’s various stages of the training platform at an elite level. John’s coaching platform requires a strong understanding of the three core values of The Bulfinch Group’s planning philosophy which can be applied effectively to most planning strategies and situations. 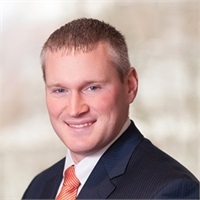 John graduated from Fairfield University in 2002 and has been a part of the financial services industry ever since. John joined The Bulfinch Group in 2011 and has continued to be recognized by The Guardian Life Insurance Company of America as a leader in the industry: he is a five-time President’s Citation Award Winner, four-time Leaders Club qualifier, and in 2016 received the Brian H. Early Frontline Excellence Award, recognizing John’s exemplary performance in his frontline position as an emerging leader in the industry. John and his wife Heather live in Burlington with their three sons William, Luke and Nolan. For more information or to schedule a meeting, please do not hesitate to contact John.